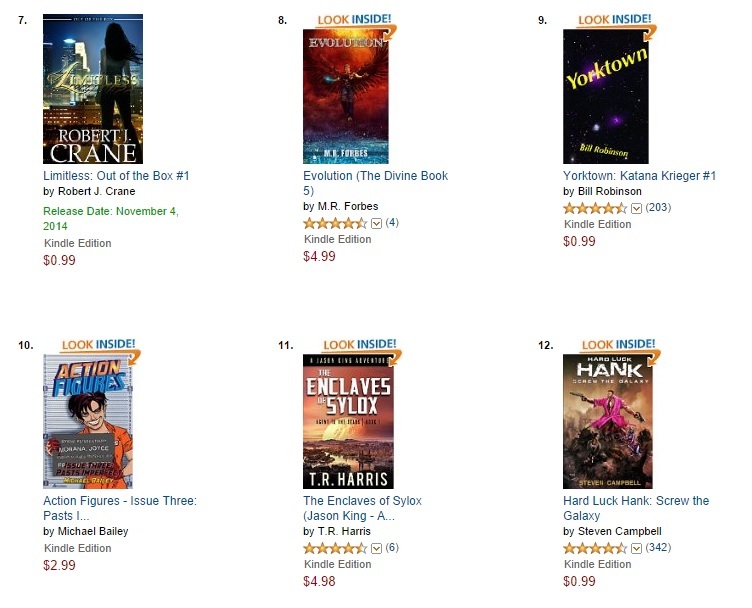 That’s book three sitting at the number 10 spot on the Kindle top 100 paid best-seller list for my genre (superheroes). Yes, for the first time, one of my books cracked a top ten list! I can’t think of a better way to mark one year since the release of the first AF novel, Action Figures – Issue One: Secret Origins. Yep, it’s been a whole year since I dove headlong into the great self-publishing experiment, and I definitely have no regrets. In fact, this weekend’s big win kept me motivated in a huge way, and I knocked out a nice chunk of book four. Yep, work is well underway for Action Figures – Issue Four: Cruel Summer! This is one of the AF stories I’ve been dying to tell. It’s going to be a bit darker than its predecessors, but I trust everyone will hang tight for what’s sure to be a wild ride. My goal is to have it ready to go by March 2015, so stay tuned!